Post-CES, it’s clear 2018 will be all about AI and voice. By 2020, Gartner estimates that chatbots will be handling 85 percent of customer service interactions. And by 2022, Juniper Research estimates chatbots will be contributing to over $8 billion in annual cost savings. From voice-controlled showers, cars, toilets (not sure if I can get behind that one yet) businesses are looking to integrate it into nearly everything this year ‒ and consumers are ready for it. More than two in five consumers (43%) are willing to interact with AI using a voice-controlled device, according to PointSource’s new AI and Chatbot Report. Ultimately, early integrations of AI and voice-controlled assistance should focus on making life easier for users and driving behind-the-scenes efficiencies. As consumers become more comfortable using the new technology and realize that it makes their experiences smoother, companies can gradually expand their use. Despite imminent widespread adoption of voice-controlled assistants, however, Stephanie Trunzo, Chief Digital Officer and COO at PointSource, A Globant Company believes we have yet to harness the full potential of voice across touchpoints. “Voice and zero UI interactions are currently limited by the capabilities programmed into each model. Alexa enables a set of defined skills for specific use cases and Cortana is designed to be a voice interaction interface for findability and retrievability. Combining capabilities allows additive use case patterns. 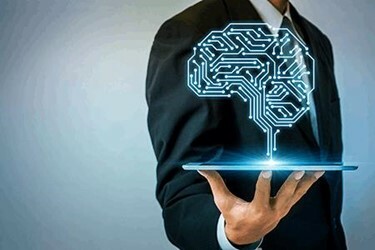 When the systems connect multi-variable flows, and enable learning and iteration, only then will we see the real power of cognitive intelligence in voice interface," Trunzo explained in an emailed statement.